Integrated Components has been an Original Equipment Manufacturer (OEM) supplier for the aerospace industry for over a decade. We pride ourselves on continually meeting and/or exceeding the exacting standards and quality requirements of this industry. Whether we are managing the entire process and providing a complete part or collaborating with smaller machine shops who outsource to us for a portion of the work, we strive to produce the highest quality parts, in an efficient, timely manner so that deadlines are met. Integrated Components incorporates Progressive Management Practices with LEAN focus. 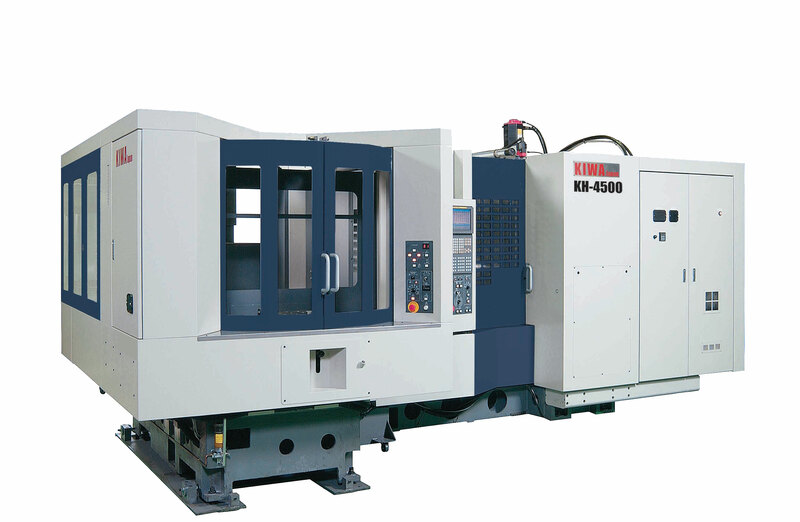 With our goals and the goals of the companies we work with in mind, Integrated Components is excited to announce our newest acquisition in machinery, the Kiwa KH-4500, CNC Horizontal Machining with an eight pallet changer center. This is a high-quality machine tool and can easily expand depending on job needs, from 2 pallets to 8 pallets. This machine is loaded with features and provides speed, accuracy, and rigidity, with the results being faster production runs and reduced setup times. This machine features a horizontal machine center design which favors uninterrupted production work. The horizontal orientation encourages chips to fall away, so they don’t have to be cleared from the table continually. The design also allows a two-pallet work changer to be incorporated into a space-efficient machine. This is a huge time saver because work can be loaded onto pallets, while machining is occurring on other pallets. This revolutionary design allows Integrated Components to have 32 jobs lined up and ready to go while one is being ran. Less down-time and less prep-time equals less cost per part for our customers. This acquisition will allow Integrated Components the capability to produce high-quality OEM parts and equipment, in a timely and efficient manner. Integrated Components is always ready and available to discuss your manufacturing needs.